While South Sudan continued, and continues to provide "short-term answers" to the requests of peace, security, justice and health, Amref has been trying to secure long-lasting solutions since its first steps. From 1972, the organization is committed to supporting the reconstruction of the healthcare system to ensure health promotion through increased access to primary health services. Starting from 1998 Amref has trained about the 80% of the country's primary clinical healthcare professionals. Since 2011, Amref has guaranteed essential medical, surgical, anesthetic and nursing services to 14 hospitals in the ten states of South Sudan providing approximately 4 interventions each year in each hospital thanks to the work of a staff made for 97% by African persons. 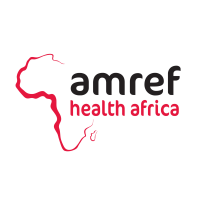 In fact, in line with Amref's policy, the protagonists of the interventions are the Africans: medical and paramedical staff, technicians and community workers. Ever since 2011, in the Central and Western Equatorial Regions, more than 45,000 Internally Displaced Persons (IDPs) and 135,000 members of the host communities have benefited of Amref work. It is estimated that South Sudan counts 1.8 million IDPs and more than 6 million persons need urgent assistance. With this new project, focused on health, nutrition, water and hygiene, Amref aims at working in Wau City to ensure primary healthcare to IDPs and the host communities. At the same time, it will be important to continue to train healthcare personnel at the Maridi Training Institute. The city of Wau - in the Western Bahra State of Bahr - is located into an area that has experienced an outbreak of violence in April and May 2017. It is estimated that more than 65,800 IDPs have been sheltered in Wau city. About 60% have fled to the United Nations camp. The numbers are rising steadily and among the most vulnerable are women and children. It is estimated that over 100,000 will shelterin Wau in the next few months. Approximately, 41,260 will be women in reproductive age (15-49 years) and children under 5 years. The Project will deliver a dedicated intervention for IDPs such as medical and surgical needs assessment, purchase and delivery of essential drugs and medical kits for the treatment of complications related to severe malnutrition. A key activity will be the training of medical staff on surveillance and response in emergency situations as well as the training of members of the community as healthcare workers and in the management of severe malnutrition, with special focus on maternal-infant nutrition. Poor health, poor hygiene practices and water shortages are another challenge for both IDPs and host communities. Therefore, Amref will provide sanitation facilities (common bathrooms, showers and areas for personal hygiene) by involving the recipients of the interventions and providing them with the knowledge and tools to preserve and maintain properly the facilities over time. Amref will also train dozens of health promoters, selected within the same communities, to monitor the management of sanitation facilities. Each promoter will be responsible for monitoring 25 families within the IDPs camp. As for water supply, the intervention foresees the provision of water dispensers, filters and tanks, moreover 3 boreholes will be repaired. This activity will be accompanied by a large health and hygiene awareness campaign. The Nando and Elsa Peretti Foundation has awarded a grant to this project. The project is carried out by Amref Health Italia, in collaboration with Amref Sud Sudan. In addition, the County Health Department, the Juba Ministry of Health, the Payam and Boma Administration, the NGO HARD, women's associations and community members are involved in the project. The Nando and Elsa Peretti Foundation's support to Amref, is part of a wider intervention in South Sudan funded by the Foundation which involve eight humanitarian organizations operating in different areas of South Sudan. "It is in such moment of hesitancy that it is important to give a signal," states Guglielmo Micucci, director of Amref Health italia. "While people are fleeing from the country and those who stay, are moving towards other areas, at the outflow of forces, crippled and malnourished, the organizations have not stopped hoping. The choral response of eight highly-experienced organizations, put together by the Nando and Elsa Peretti Foundation goes in that direction. " "It is not easy to move forward when you collect on daily basis dramatic stories. Just a few weeks ago, a nurse in Juba told us that one can feel satisfied if in one month time, only ten children die, "continues Micucci" it is from this tough reality that we have to start bearing in mind the promise and commitment that Amref has declared before South Sudan born as a State: to revitalize the health indicators, one of the most dramatic in the planet. In Wau, like in Maridi and elsewhere in South Sudan, we try to do it step by step."